The professional Edmonton real estate agents at EdmontonHomes.ca have diverse backgrounds and experiences, with a shared passion for real estate. Here at EdmontonHomes.ca, we always look forward to meeting new people and helping them find their dream home! Better yet, we’re great at what we do. Our agents understand that people are the key to real estate success. We listen carefully to our clients to ensure we understand each of their wants and needs. We then apply our years of experience and in-depth knowledge of the market to find the ideal real estate opportunity. From buying your very first home to reaching your real estate goals in retirement, we’re here to help you find exactly what you need - at every stage of your life. The dedicated agents behind EdmontonHomes.ca combine their love of real estate with a competitive edge to deliver the very best results. Dustin Batuik is a top Edmonton REALTOR® with extensive community ties and local client relationships. He has years of experience and expertise in both buying and selling, and is committed to helping you achieve all your real estate goals. 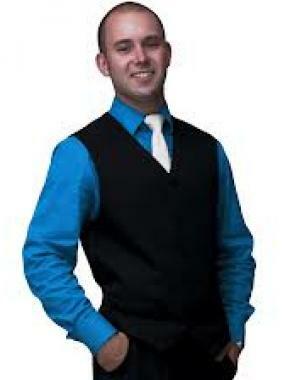 Dustin received his real estate license in 2003 at the age of 20 and has been a staple of the local industry since. Since then, he has created a strong network of loyal clients and skilled professionals who share his innovative visions. Though he has become an undeniable expert over the years, Dustin recognizes that real estate is a constantly evolving field where staying ahead of the industry is crucial to success. That's why he is consistently pursuing further educational endeavors provided by the REALTORS® Association of Edmonton — so you, the client, can stay ahead of the industry as well. At EdmontonHomes.ca, we strive to go above and beyond your expectations, connecting you with all the best Edmonton real estate opportunities. Our website uses the most comprehensive real estate search technology available, offering buyers the convenience of previewing real estate from the comfort of their homes. However, our service truly begins when we meet in person; that’s when we’re best able to work with you to identify and explore homes that match your unique wants and needs. We’ll advise you through every step of the process, and deliver competitive offers that align with your preferences and terms. We even canvass neighborhoods to pinpoint potential sellers, often finding our buyers homes before they’ve even been listed. 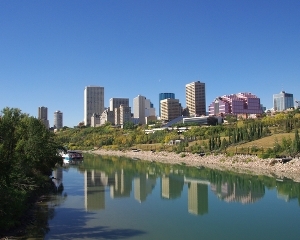 When it comes to selling real estate in Edmonton, our agents understand that it takes marketing and exposure. We do everything we can to ensure our listings reach every agent and potential buyer in the city. We’ll work with you to provide home staging advice, professional photography, and extensive advertising techniques to sell your home quickly, and for the best price. Talk to us today to discover how we’ll sell your home. Work with us and experience the pleasure of positive and seasoned professionals supporting you through every step of your real estate process. Dustin Batuik and our Edmonton real estate agents will connect you to your dream home! Contact us online or call 780.800.9644.